Corona rings are toroidal shaped metallic rings which are fixed at the end of bushings and insulator strings. They are also called as anti-corona rings. 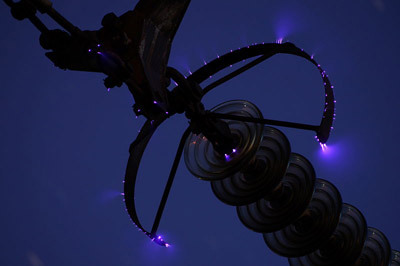 Corona rings are used to prevent corona discharge that occurs in high-voltage power lines. Corona discharge or corona loss is a significant issue with very high voltage power lines which causes power loss. One way to reduce corona discharge is using corona rings. Corona discharge occurs when the electric field (potential gradient) at the surface of conductors exceed a critical value, called as critical disruptive voltage. The value of critical disruptive voltage varies with atmospheric condition. Its value is roughly 30 kV/cm. The electric field greatest where the curvature is sharpest. Therefore, corona discharge occurs first at the points where the curvature is greatest - i.e. at suspension points, corners and edges. Corona rings are installed at these points to prevent corona formation. A corona ring is electrically connected to the conductor, encircling the points where corona discharge may occur. Therefore, the corona ring distributes the electric field (or charge) across a wider area, because of its smooth round shape. Hence, it reduces the potential gradient below the critical disruptive value. Manufacturers usually recommend aluminum corona rings to be installed at the conductor end of the string insulators for lines above 230 kV and on both ends of the insulator for 500 kV. Grading rings are very similar to corona rings. In fact, one can say, grading ring and corona ring are two different names for the same device. The difference is due to their main purpose of use and their placement. Grading rings encircle insulators rather than conductors. 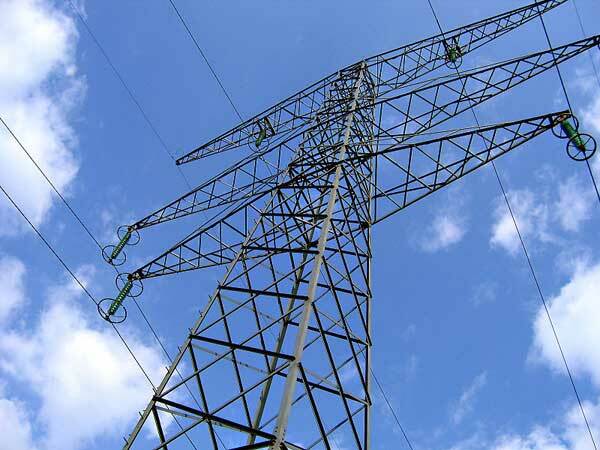 Their main purpose is to reduce the potential gradient along the insulator. Grading rings help in equalizing the potential distribution over a string of suspension insulator. Hence, grading rings improve the string efficiency and prevent insulation breakdown. Grading rings also serve the purpose of corona rings to some extent.